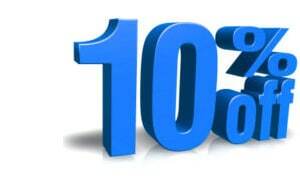 Enjoy a 10% discount when you purchase a spare parts kit! Al Thika Packaging offers manufacturers’ recommended spare part kits for all equipment which we supply in Dubai, Abu Dhabi, Sharjah, Fujairah, Ras Al Khaimah, Ajman, Umm Al Quwain, Al Ain – UAE, Saudi Arabia, Muscat, Oman and the many other Gulf countries. These, combined with basic technical training, will greatly improve equipment uptime and give the customer sufficient resources to quickly resolve issues and conduct basic preventative maintenance at a time that best suits themselves – i.e. during non-production periods! 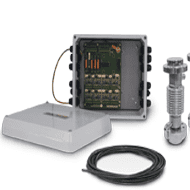 The cost of production downtime far exceeds the cost of having a basic spares kit on hand within your facility, and is a smart, economical investment. 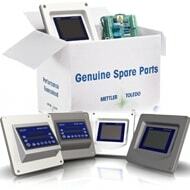 Contact Al Thika Packaging for supplies of genuine packaging machine spare parts. An integral part of our business is the supply of genuine spare parts for all of our customers’ coding and marking equipment, banding and net bagging solutions, and shrink and stretch wrapping machines. We fully understand that our customers need spare parts delivered on time if production is not to suffer, and our commitment to meet that need means that we carry a large range of parts in our warehouses in Dubai. We have a dedicated store for temperature sensitive products, with two separate air-conditioning systems, to ensure product reaches our customers in perfect condition, even during the Gulf’s hot summer months. If a machine breaks down during production it is critical that for the machine to be brought back online as soon as possible to minimise production loss. To reduce downtime, the optimum best practice is for customers to stock basic spare parts that can be utilised by their technical team without having to wait for a delivery. Twenty years of experience supplying the G.C.C. market means that we are familiar with seasonal demands, documentation delays sometimes being forced upon us, the administration of imports from Europe, and re-exports throughout the Gulf. This helps us to pre-empt potential problems and take the necessary action in good time, to ensure prompt delivery. Contact us for more information and an obligation free audit of your equipment and recommended spare parts.